Install Lightbeam from its home page. It’ll only take a few seconds. Once its done, click on the Lightbeam icon up on the top right corner of Firefox to activate it. 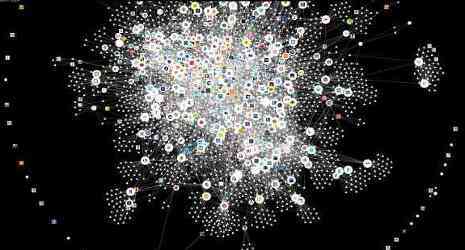 The next bit may may a little longer as Lightbeam races around mapping all the connections your browser has ever made. In my case, the result was the huge knotted muddle you see at the head of this post. A worldwide web indeed! 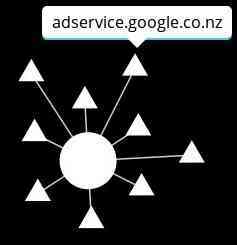 Each parent website is represented by a circle while its connections are shown as diamond-shaped satellites. Move your cursor over any of the graphics and a pop-up will detail the item’s web address. The display is interactive. Scroll the mouse wheel to zoom in and out, or click and drag a graphic to reposition it to examine more closely. Which is exactly what you’d expect. You visit a website, and there it is. Again, no surprises there. 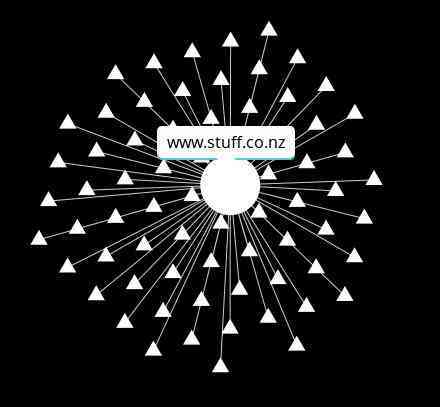 I’m in New Zealand, so google.com has linked to its nearest affiliate, google.co.nz, via an unobtrusive third party connection. This is more disturbing. eBay, represented by the circle in the centre, has connected to nine other third party sites – three of which are Google or one of its online advertising affiliates. In short, even though I went to eBay, not Google, their ad servers are observing — and logging — my activity. If you don’t find that particularly chilling, reset the data and visit local news site Stuff. Whoa! What the heck? Yep, typing in one single address has connected me to 69 third party sites! Notice how some of those third-party sites have common connections, even though we’re looking at a rival news provider owned by a rival company? Scorecard Research, for example. I’ve never heard of them, have certainly never visited their website, yet they now know I’ve looked at both Stuff and the Herald. 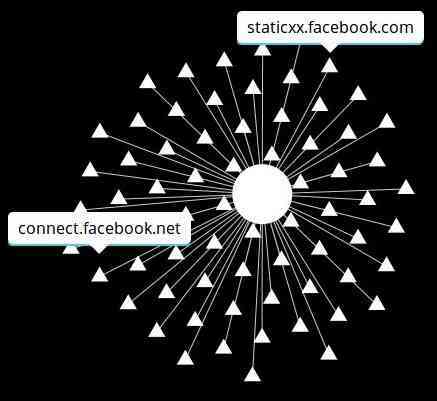 In this way, companies you’ve never heard of track all your activity on line. They build up a picture of who you are, where you are, what you do, and what interests you. Ever looked for help on a personal issue — perhaps health related — something you haven’t even mentioned to your closest friend? It’ll be logged somewhere. Everything you search for, look at and link to is recorded. Some third party sites even note how long you spend looking at particular pages so they can rate your interest level. To say they probably know more about you than you know about yourself isn’t an exaggeration. But it’s anonymous, right? They don’t know your name or where you live. Think again! Back in 2006, AOL released 20 million search records for search engine developers to use as test data. The data, on 657,000 customers, was anonymised. IP addresses — which showed where the search requests came from — were replaced with numbers, but within days individuals had been identified just from their search terms. This piece, from the New York Times of August 2006, details how they identified one 62-year-old woman within hours. It’s worth noting that that was more than a decade ago. Considerably more data has been accumulated about users since then. So what can you do about this and how can you reclaim a little internet privacy? 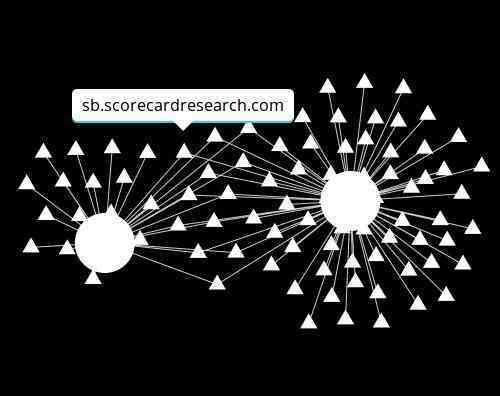 How can you reduce the number of secret internet shoulder-surfers watching where you go and what you search for? I’ll tell you more in the coming weeks.